Rear View Of Young Attractive Woman Tourist With Backpack Coming To Shoot Photo At Ancient Phanom Rung Temple In Thailand. Banco De Imagens Royalty Free, Ilustrações, Imagens E Banco De Imagens.. Image 77501029. 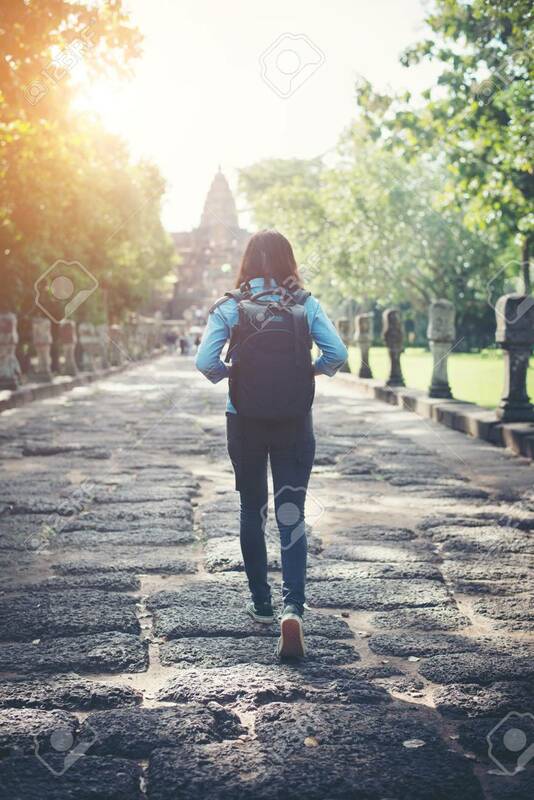 Imagens - Rear view of young attractive woman tourist with backpack coming to shoot photo at ancient phanom rung temple in thailand. Rear view of young attractive woman tourist with backpack coming to shoot photo at ancient phanom rung temple in thailand.